Senior purser Mia Donoghue is always on the go, leaving her little time for herself. Being busy provides distraction from painful memories and her daily struggle to stay sober. Captain Ava Alfarsi has just been promoted. As a single, young, and attractive captain, Ava has no problem meeting women, but her control issues and fear of people finding out she’s far from perfect stand in the way of connecting with others on a deeper level. When the two become aware of each other’s deepest secrets, they find comfort in the knowledge they’re not alone. A mission gone horribly wrong. A vicious killer who will stop at nothing. Two women on the run for their very lives. After 9/11, an experimental branch of the US government has been tasked with the mission of proactively putting a stop to terrorism. They have sent a team to eliminate a financier responsible for funding the worst of these organizations. Everything is going according to plan. Until it's not. The team is ambushed, and when the mission is looking its darkest, it goes from bad to worse. Grace Warner spends her days teaching four sections of Beowulf for Cretins to bored students at one of New England's “hidden ivy” colleges. Not long after she is dumped by her longtime girlfriend, Grace meets the engaging and mysterious Abbie on a cross-country flight. 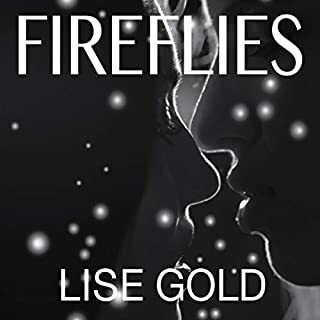 Sparks fly on and off the plane as the two strangers give in to one night of reckless passion with no strings attached and no contact information exchanged. Back home at St. Albans, the college rocks Grace's world when it announces the appointment of a new president, the first woman in its 165-year history: Abbie. A brilliant child protégée, she dreams of becoming a doctor and a surgeon...and accomplishes her goals. Unfortunately, her youth and round, childlike face work against her. No matter how skilled she becomes, how knowledgeable, the old school, male-dominated medical hierarchy wants to keep her in her place. Deanna has worked hard to become an expert in her chosen field, but few believe this "child" capable. Specializing in infectious diseases, she travels the world honing her skills before winding up in Africa where her skills are desperately needed. I am not sure what to even think. 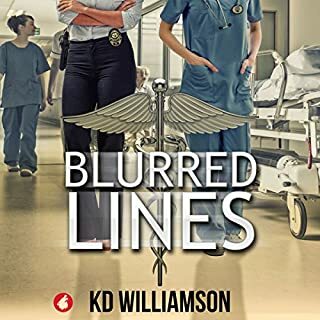 Six months after Hurricane Katrina has devastated most of New Orleans, detective Sept Savoie is battling the nightmare of everything the storm has taken from her when a brutalized body turns up behind one of New Orleans's most famous restaurants, which is run by Keegan Blanchard. The more Sept works through the clues, the more they point to Keegan, which makes the relationship growing between them anything but love at first sight. 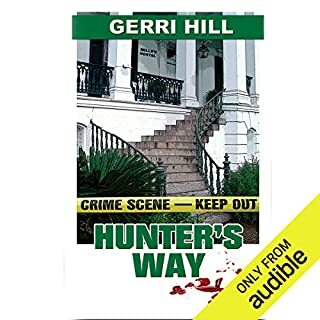 The first death is only the beginning, though, as the miles of deserted neighborhoods Katrina left behind provide the perfect stage for murder. Joanna Grey injects the deadly poison into the chamber of the syringe - time after time. She's murdered before and she'll do it again. She's intelligent, educated, and beautiful. At 35, Rylee Hayes is a respected homicide detective. Her best friends are her grandparents, her coonhound, and her partner - in that order. She's about ready to give up on the idea of a relationship. She hasn't seen the love of her life, Kenzie Bigham, since college. His nickname is Georgie Porgie, and the last thing he wants to do is kiss the girls and make them cry - yet he does, in Captain Save a Hoe. We meet a young man with big dreams from the City of Brotherly Love who escapes Philly following a potential prison sentence to live in New York City and pursue his dreams of being a famous hairdresser. And fame finds him, flaws and all. 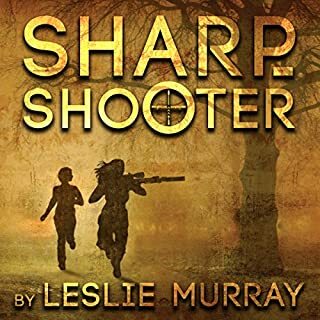 Retired homicide detective Linda Sikorsky and her wife Kirsten McClellan head to Maine from their home in the New Jersey woods for a weekend of rest, relaxation and rewrites as Kirsten finishes drafting her first novel. Bad weather alters their plans, forcing them to stop for the night at the Cliff's Edge, a roadside motel known for secrecy and indiscretion. 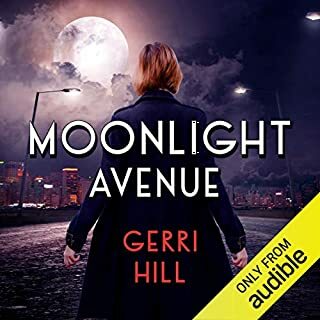 Something murderous goes bump in the night, sending the women on a search for justice when a young reporter's body is found violated and dumped on a back road. A road Linda must now go down, no matter where it takes her, or what it reveals. The thing I loved most about 'Last Room at the Cliff's Edge' was that this book was filled with female characters who range from flighty and silly to sinister and badass. So many stories are sorely lacking in female characters that have depth and actual human characteristics. As far as diversity in gender goes, this book is fantastic. The story itself was also a great listen. From interpersonal strife between wives to a full fledge murder mystery, this tale has a little bit of everything! This is a tight and interesting murder mystery that I would definitely recommend to anyone who enjoys a good thriller! 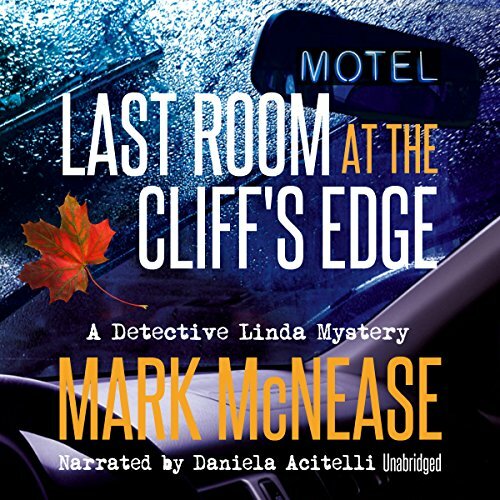 Mark McNease spins this tale with expertise and Daniela Acitelli delivers a fabulous performance. What starts out as a road trip to get away and have some time together while Kristen works on her first mystery novel turns into the real thing when a storm strands them overnight. You can take the detective out of law enforcement, but you can't take law enforcement out of Detective Linda. Very engrossing, yet not overlong. Ms Acitelli gives an excellent audio interpretation! The narrator was awful! Unfortunately, I won’t be bothered to listen to the next book in the series. The narrator’s patronizing, pathetic and whiney is like nails on a chalk board. Too bad. I enjoy a good lesbian mystery. Once A Cop. Always A Cop. On the way to a writers retreat with her aspiring author wife, they stumble across a murder. Linda must solve the case and Kristin goes along to observe techniques for her murder mystery. Old cases surface and Maine is not as family friendly as it seems. Good performance. I enjoyed the story line, the performance is one that you really have to be on top of not to miss anything. This book was in the romance category and is not. This is a mystery & it is okay as one. Would you recommend Last Room at the Cliff's Edge to your friends? Why or why not? No, I would not. It is lacking in character depth. I did not know what the 2 main characters felt or thought. The story did not draw me in. I did not like the voice of some of her characters..... some were very similar. Would you try another book from Mark McNease and/or Daniela Acitelli? Maybe read the author, but not the narrator. I couldn't get to the end. Who would you have cast as narrator instead of Daniela Acitelli? Did Last Room at the Cliff's Edge inspire you to do anything? Yes, stop listening, start reading, instead. The narrator has a very odd rhythm to her reading. She tends to draw out a word here and there in a way that does not fit the narrative or the dialogue. She also gets the emphasis on the wrong word. It gets annoying. Example: (Not verbatim) I knoooowww he is the one, instead of the correct interpretation putting the emphasis on "he." This was an enjoyable mystery story. I am partial to books taking place in New England because I am familiar with the area. I thought the lead characters were almost the odd couple in the beginning of the story, but as it progressed they seemed like a more plausible match. Fun for a car ride. I've listened to Mark McNease's Kyle Callahan series and was introduced to Detective Linda in them. This new series features her and her wife, a budding writer. A storm causes them to have to stay at a motel on their way to a writers retreat. This is where the story begins and takes you on a roller coaster ride. The narration was well done.The characters were well portrayed. Daniela Acitelli sometimes goes over the top, but it's not too bad. Yes. It was quite interesting and the dynamics of Linda and Kirsten's relationship is cute and entertaining throughout. It is a well structured plot and there is action as well as mystery. There are a great number of quirky characters to add to the story as well. This is a small town mystery full of varied participants that have a long history. A history full of unsolved disappearances and deaths that are whispered about only. When detective Linda and her mate happen into town and into the mystery events conspire to snag them into it all. It was a great listen. "an unfortunate history of run-ins with murderers"
Linda (always known as Detective Linda by her friends, Kyle and Danny) and her wanna-be author wife, Kirsten, are forced by a major storm to take overnight shelter in a somewhat seedy small town hotel whilst en route to an holiday of hotel luxury.. Awake in the night, Linda hears muffled noises from the room next door followed by the sound of a car leaving. Intrigued that anyone would be driving away at that time of morning, she notices that the Golden(ish) car which had been parked next to theirs is missing, later to be found abandoned with the body of a young female journalist nearbye. Detective Linda's ex-police mental radar goes into overdrive as she drags her reluctant partner on a trail of discovery and danger rather than the relaxed holiday she had been anticipating. More of a standard mystery thriller than the Pride series books (how I miss the lovely Danny and Kyle), Mark McNease has written an intriguing crime story peopled with colourful characters. Linda always has been a great personality and it is good to be able to get to know both her and her new wife better through this book and experience the closeness of the couple despite their obvious differences. His characters are always real people, not cyphers on a page. Like absent friends rather than imaginary ones. 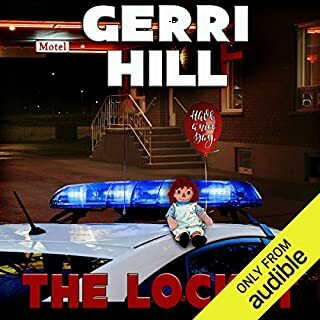 The narration by Daniela Acitelli is good, clear and well paced (although I had to increase the audio speed to 1.25 for it to be comfortable to hear as I found her reading, at the regular speed, too long drawn out). She also voices the characters well, giving them even greater credibility. Overall, a good performance. This was an enjoyable listen and I can recommend it to all mystery lovers and, if you are still unfamiliar with the companion Pride series, suggest you treat yourself to the pleasure of discovering new friends in those titles, also.